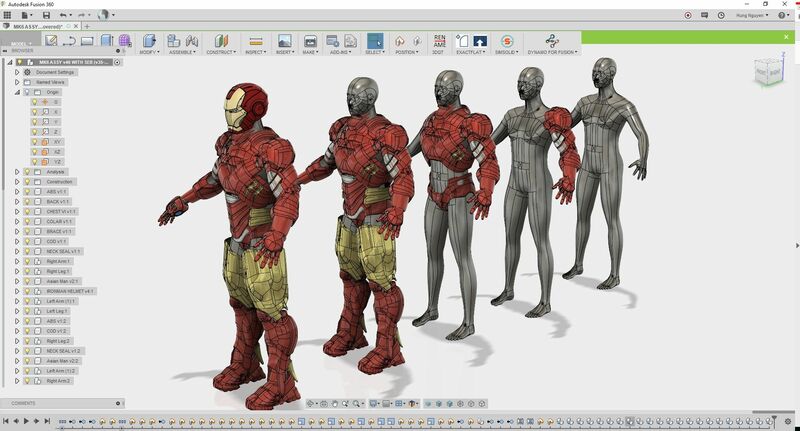 This is the Ironman Suit model for AU 2017 class title "Making a Custom-Fit Iron Man Suit with Fusion 360"
Designing and making a custom-fit Ironman suit with my son for Comic-Con International: San Diego is the inspiration for this class. It’s like asking a tailor to use CAD for textile design or requesting a well-cut Italian suit made from metal. It started with the shape of my son. Then the compounded complexity of modeling the form to custom fit him. Then we had to work out the flat pattern of these complex surfaces. Finally, we had to make it, but with what and how? 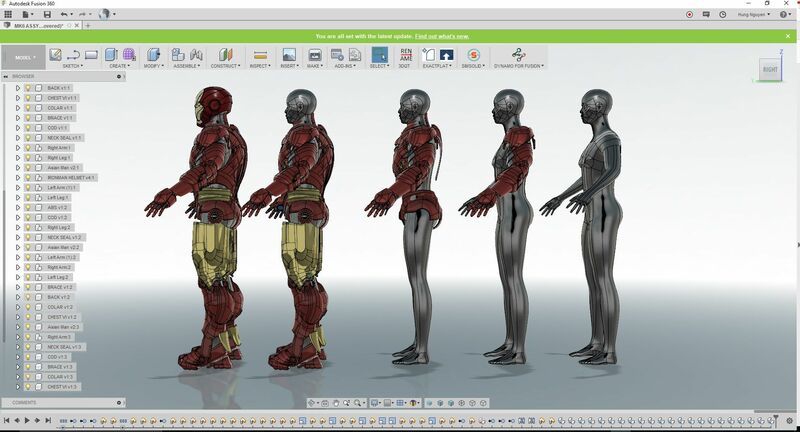 Convert human scan data to mesh model using ReCap Pro. Refine the mesh model with 3DS Max. 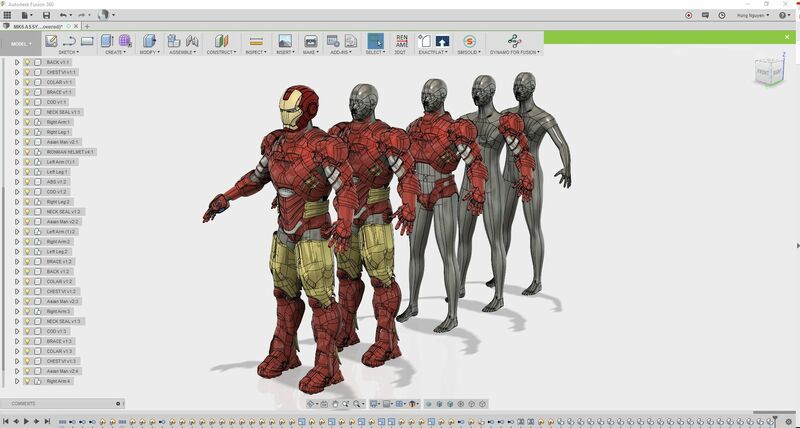 Flatten the 3D model into 2D pattern pieces that fit with ExactFlat Online software. Layout a nested flat pattern and cut on stock sheet using Fusion 360 CAM 2D profile cutting. 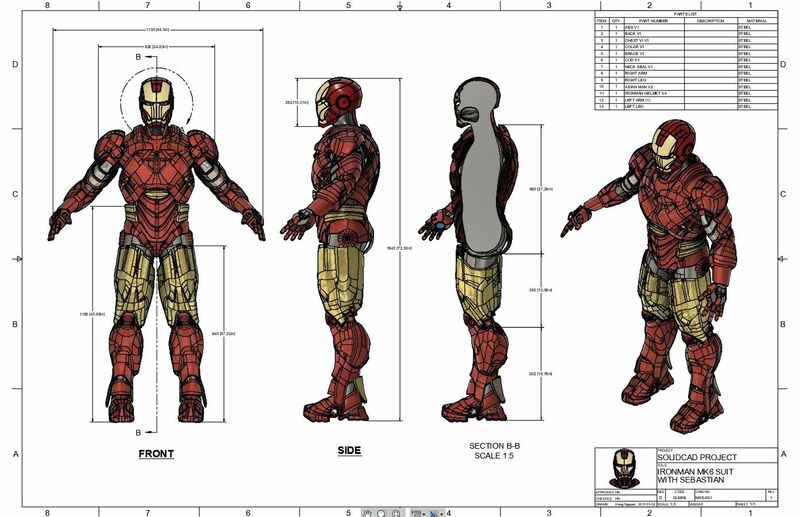 At the end we’ll assemble all the parts together, and the custom-fit Ironman suit is finalized with perfect shape and size. I wanted to upload and share the model, but the publishing process choked at 25% because the model is 577 MB . If you'd like to have the model, drop me an email to Hung.Nguyen@solidCAD.ca or download it from AU 2017 class. 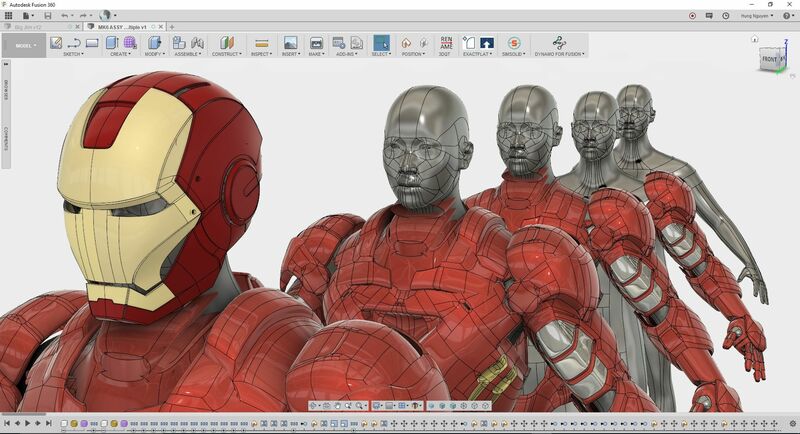 I just added 2 Fusion 360 Event Simulations for Performance test where the Ironman mask receives a bullet fired at 450 m/s.